Our PSA displays are made of wood melamine finish and are specifically cut 1/4" deep to fit all of your PSA & PSA/DNA items. Our frames are all Made in the USA. We take pride in the quality craftsmanship of our frames. These frames are not your typical big box store cheaply-made frames. They are made by a company in New York that's been making frames since the 1920's. 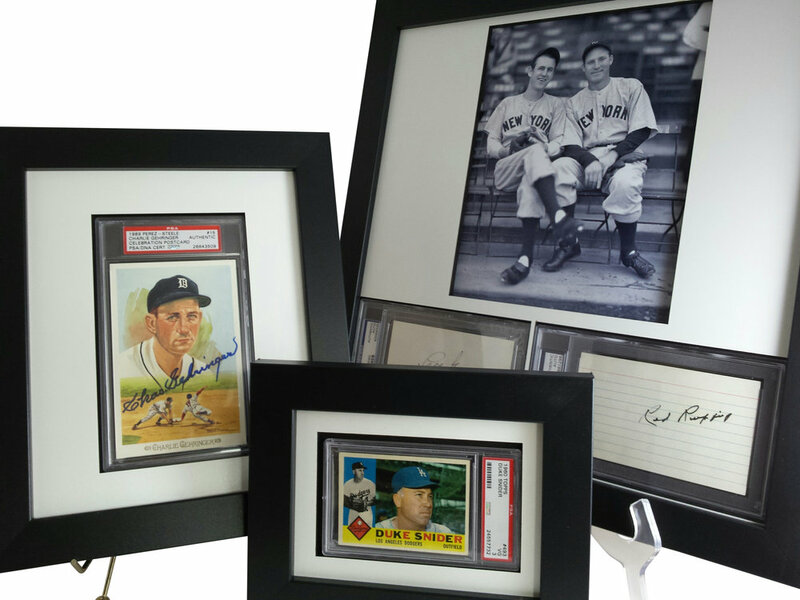 With more than thirty designs, from graded cards, autographs, sports tickets, postcards and more, PSAFRAMES has you covered. So take your collection to the next level and find your design today!